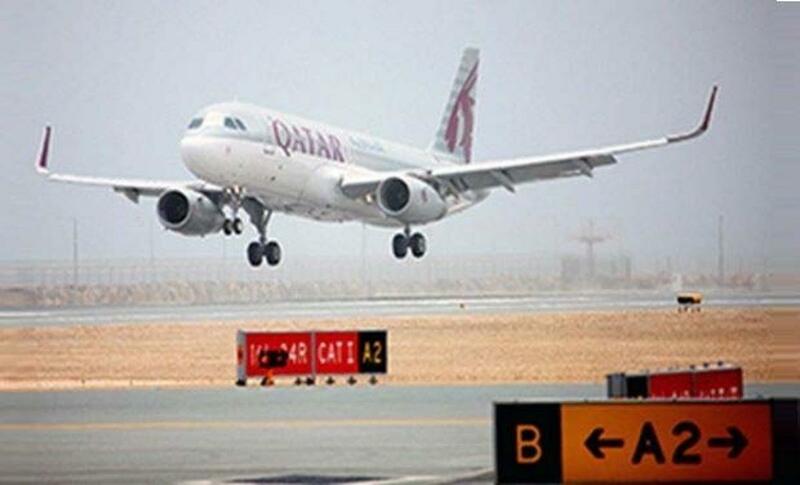 Qatar Airways was shamed into relaxing its policy of sacking cabin crew for getting pregnant or marrying in their first five years of employment, a labour federation said Thursday, while welcoming the move. \"Qatar Airways has been shamed into action, and that\'s a tremendous advance,\" International Transport Workers Federation president Paddy Crumlin said in an statement. \"No amount of hiding behind \'best airline\' awards has kept the truth about how staff are treated from emerging.\"
Qatar Airways was shamed into relaxing its policy of sacking cabin crew for getting pregnant or marrying in their first five years of employment, a labour federation said Thursday, while welcoming the move. "Qatar Airways has been shamed into action, and that's a tremendous advance," International Transport Workers Federation president Paddy Crumlin said in an statement. "No amount of hiding behind 'best airline' awards has kept the truth about how staff are treated from emerging." The ITF said the move, confirmed by the Doha-based carrier on Wednesday, was a "first victory" for staff rights. And it said that, working closely with staff, it "will continue to campaign for further change and respect for workers' rights." Company executives said Wednesday the restrictions had been phased out over the past six months. "Our policies have evolved with the airline's growth," a spokeswoman said. Under the new regulations, women who get pregnant are now offered temporary ground jobs and staff may get married after notifying the company. "We will provide an opportunity for someone to continue working in a ground position," the spokeswoman said. Crumlin said that "we, along with everyone who works for the airline, hope that they will now address what many of those workers call the 'climate of fear' at Qatar Airways. There's much to be done, but the airline has made one step towards it." ITF general secretary Steve Cotton also praised staff who had "bravely and secretly" spoken up about the issue. Other controversial regulations, such as female crew only being allowed to be picked up from work by their fathers, brothers or husbands, are thought to remain in place, at least for the present. Qatar Airways has about 9,000 cabin crew, around three-quarters of which are female. In June, the UN's International Labour Organization called on the airline to scrap rules on pregnancy, saying they were "discriminatory." The ITF was among those that had taken the case to the ILO. The ILO said the provision on pregnancy breached its 57-year-old convention against discrimination at work, which has been ratified by more than 170 countries. The company spokeswoman said the recent changes had been brought into place after senior management began a review of working practices last year, and not in response to international criticism. Earlier this year Qatar Airways won the airline of the year award for the third time at the annual Skytrax world awards at the Paris air show.